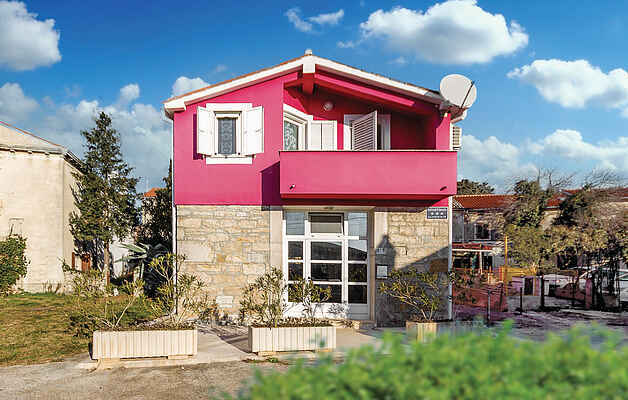 This cozy holiday house is situated in the countryside, in the small village of Pavićini. The interior spreads over the ground floor and the first floor, interconnected with internal stairs and can accommodate a maximum of eight people. On the ground floor there is a kitchen, dining room, extra toilet and living room with integrated space for leisure with a lot of entertainment content, while upstairs there are 4 bedrooms and 2 bathrooms. Within a few kilometers you can reach attractive beaches and an almost untouched landscape surrounded by natural beaches.